Scream Rule. Don't think about it, Order this record! If you don't like it, you have no taste! This 10" EP includes a coupon to redeem MP3 tracks from Side One Dummy Records. 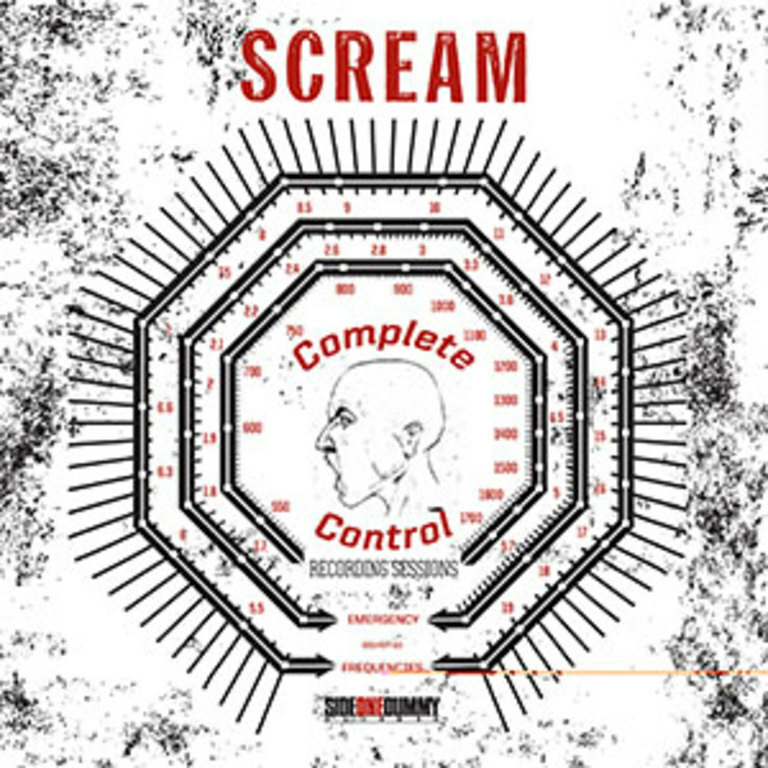 After nearly 30 years since first emerging from DCs nascent punk underground, Scream has returned with the release of “Scream’s Complete Control Sessions.” A seven song EP recorded live in Dave Grohl’s Studio 606 this past February (with John Lousteau and Scream behind the board), it picks up where the band’s 1993 Dischord Records release “Fumble” left off. Known for their incendiary live shows, urgent mix of punk, Bad Brains/Clash-inspired dub, and rock-and-roll swagger, the original lineup of vocalist Pete Stahl, guitarist Franz Stahl, bassist Skeeter Thompson, drummer Kent Stax and newcomer guitarist Clint Walsh come out swinging–with nary a hint of the two decades that have passed since last hearing from them.